To identify the microorganisms responsible for the formation of the main quality components of Qingzhuan brick tea (QZBT) during solid-state fermentation (SSF), predominant thermoduric strains were isolated from the tea leaves collected during SSF. According to their capability of releasing cellulase, pectase, protease, and polyphenol oxidase, four strains were selected as starter cultures to ferment sun-dried tea leaves during artificially inoculated SSF. 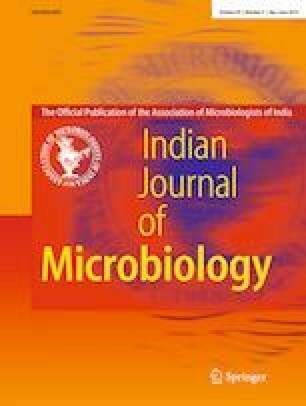 According to the major enzymatic activities and quality components content (tea polyphenols, catechins, amino acids, soluble sugar, and theabrownin), it was found that Aspergillus fumigatus M1 had a significant effect on the transformation of polyphenols and Bacillus subtilis X4 could enhance the ability of bioconversion of strain M1. Strain X4 and M1 may be the core microbes responsible for developing these biochemical components of QZBT, as the values of quality components of tea leaves fermented by these two strains for 6 days was very close to that of the sample naturally fermented for 35 days in the tea factory. The results could be significant in developing industrial starters for the manufacture of QZBT and stabilizing the product quality of different batches.